Probably the hardest decision when visiting Jardines Del Rey is which island to visit. To make this easier we are listing every hotel in Jardines del Rey and on this page you will find every hotel in Cayo Coco. Click each hotel to see reviews, latest information and check rates and availability for your Hotel in Cayo Coco. You are guaranteed the lowest rate on Cayo Coco Hotels in Jardines del Rey, along with payment options in 32 currencies including USD, Euro, CAD, Yen, and others.. The list of Cayo Coco Hotels below is a complete list of every Hotel on this beautiful island in the Jardines del Rey archipelago. We offer every hotel on every island! 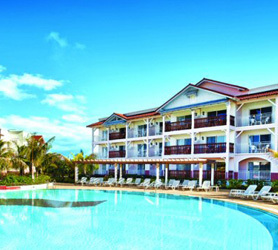 Don’t forget to check out our other hotel offers in Jardines del Rey!